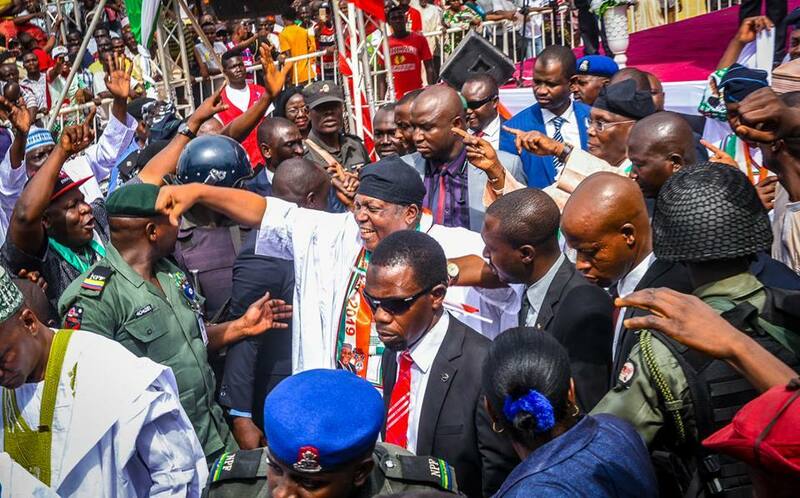 The Peoples Democratic Party (PDP) has won two seats in the Taraba House of Assembly following the supplementary polls held in the state on Saturday, March 23. According to the Independent National Electoral Commission (INEC), the PDP won the elections in Ussa and Ardo Kola state constituency in the state. In Ussa state constituency, INEC declared Timothy Anderifun of the PDP as the winner of the election. Anderifun secured 9,434 votes to beat Kurutsi Yakubu, his closest rival and candidate of the All Progressives Grand Allance, who polled 8,057 votes. In Ardo Kola state constituency, INEC declared Dominic Bukuni of the PDP as the winner. Bukuni secured a total of 22,583 votes to beat the candidate of the All Progressives Congress (APC), Aliyu Muhammed, who garnered 19,408 votes. Meanwhile, in the Federal Capital Territory, Abuja, INEC declared the chairmanship candidate of the PDP, Abdulahi Sabo, winner of the supplementary poll for Kuje area council in the FCT. The electoral body had on Saturday, March 9, declared the chairmanship election in the area inconclusive due to electoral violence at some poling units in Rubochi and Kwaku areas of the council. Professor Titus Ibekwe, the INEC returning officer who announced the result, said Sabo scored the highest votes of 19, 090, to defeat the incumbent chairman, Abdullahi Galadima of the APC who scored 15, 187.